Are you waiting for the right time to start something that you always dreamt of? Guess what? The time is now. 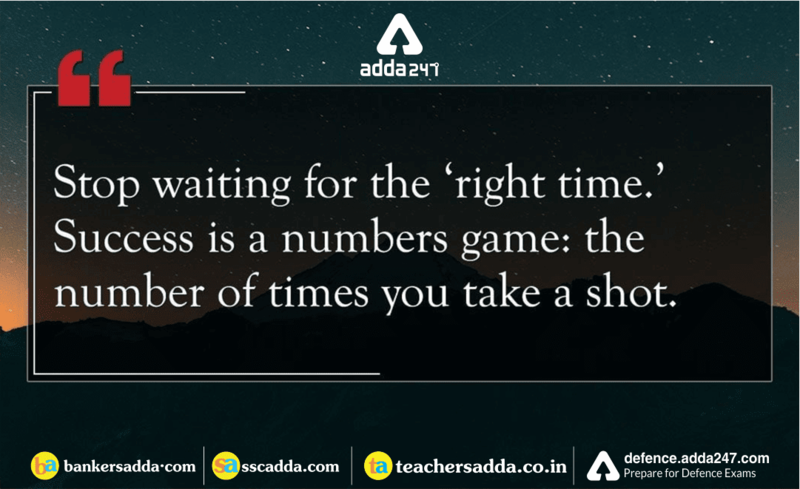 There is no such thing as the right time, only the number of times you try is what that counts. Somebody’s Success may seem to be overnight, but only that person knows the reality. It takes a lot of sleepless nights and failures to be a successful person in your field. Not trying enough would lead to regrets for life. Learn from what didn’t work, and in time, you’ll have all the skills, experience, and connections you need. Ultimately, success is all about taking your shot, over and over again. Sometimes you may win, sometimes you will definitely lose, but the more times you try, the more chances you have of succeeding. Put the power of numbers on your side. Take as many shots as you can. There’s no guarantee of success, but when you don’t take a shot or try enough, there’s a definite guarantee of failure.